A powerful tool for school and work, Endless is compatible with Microsoft Office® for documents, presentations and spreadsheets. With over 50,000 Wikipedia articles, video lessons, and apps across a range of topics, Endless puts knowledge at your fingertips. Your personal entertainment center with hours of music, videos, and games, Endless offers something fun for the whole family. Endless comes packed with content for education and entertainment to use both online and offline. Create and edit beautiful documents — compatible with Microsoft Word®. Create and edit beautiful, professional documents with this easy-to-use word processing application. 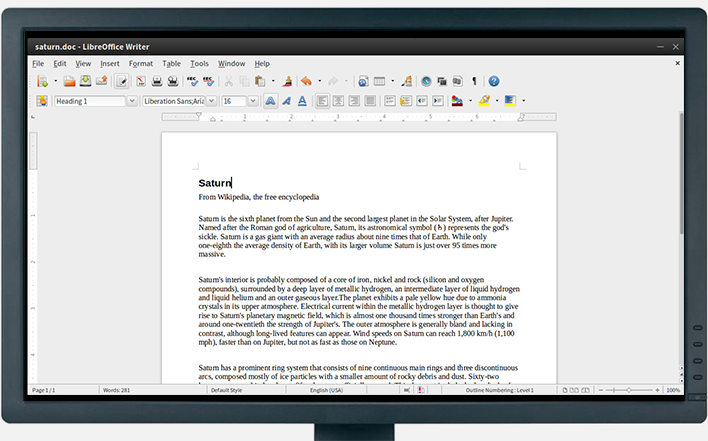 Compatible with Microsoft Word files, LibreOffice - Writer is the best way for students and working professionals to show off their work to teachers and employers. 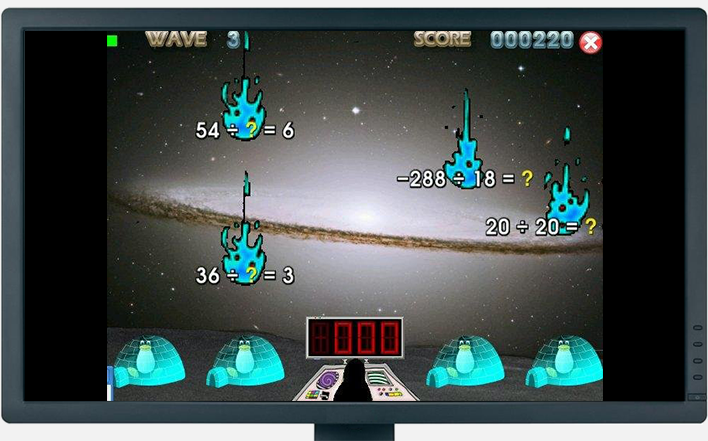 A fun game for practicing math skills. Get your kids excited about practicing math with this fun game starring Tux the Penguin. Designed for children aged 4-10, Tux Math is the perfect study companion, including lessons on addition, subtraction, multiplication, and division of positive and negative numbers. 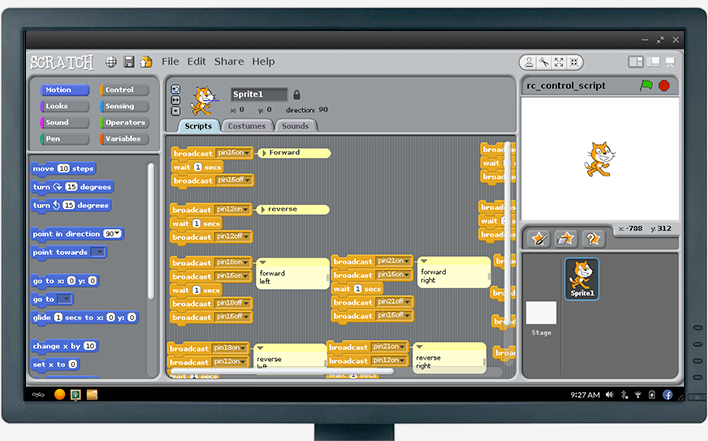 A video editor to make your videos come to life. 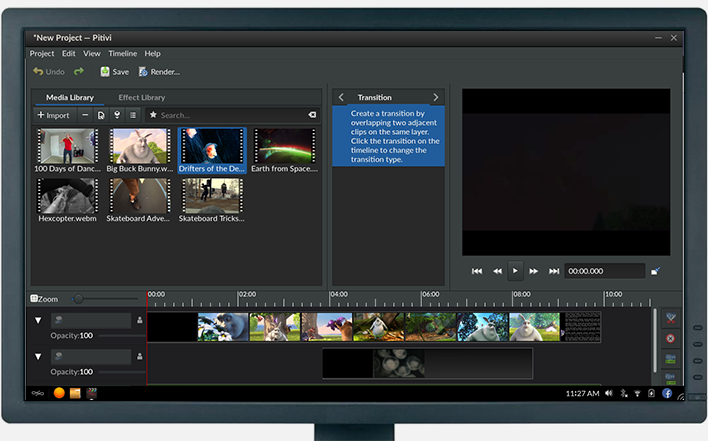 Make your videos come to life with this advanced video editor. Featuring hundreds of transitions, effects, and filters, Pitivi is the ideal tool for editing videos. Whether you want to preserve family memories, make a gift for a friend, or create a professional-looking video, this app is the answer. Explore the world through stunning photos and facts. Explore the world through stunning photos and facts about the world with Travel. 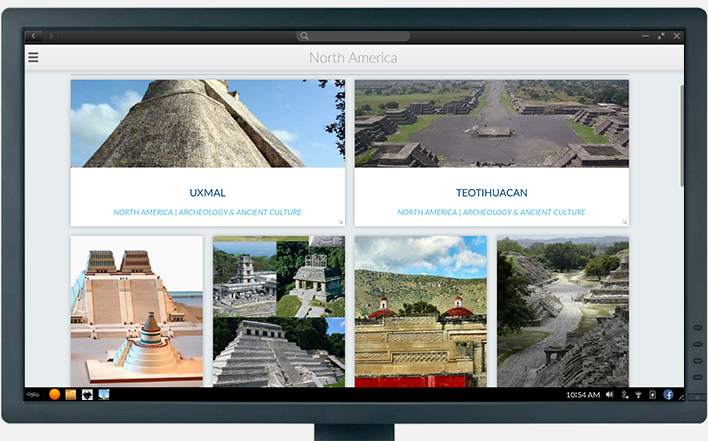 This app includes information and images on popular sites, including major cities, cultural centers, and sacred spaces across the Americas, Europe, Asia, and beyond. Create and edit professional presentations – compatible with Microsoft PowerPoint®. Create and edit clean, attractive, and professional presentations with this easy-to-use slide show application. 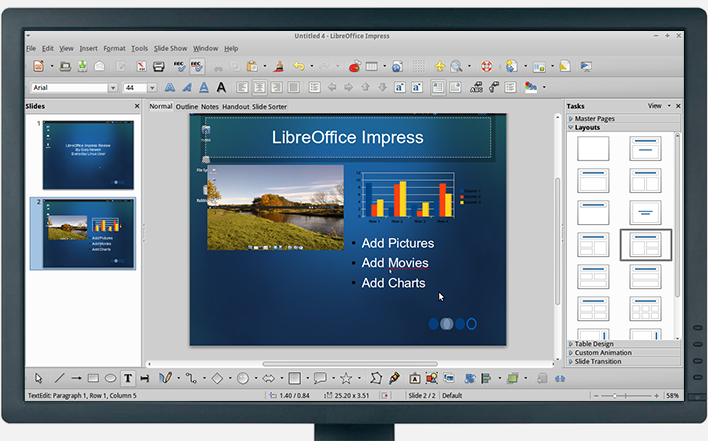 Compatible with Microsoft PowerPoint files, LibreOffice - Presentation features text, images, and animations tools to help you get your point across in a beautiful and compelling way. 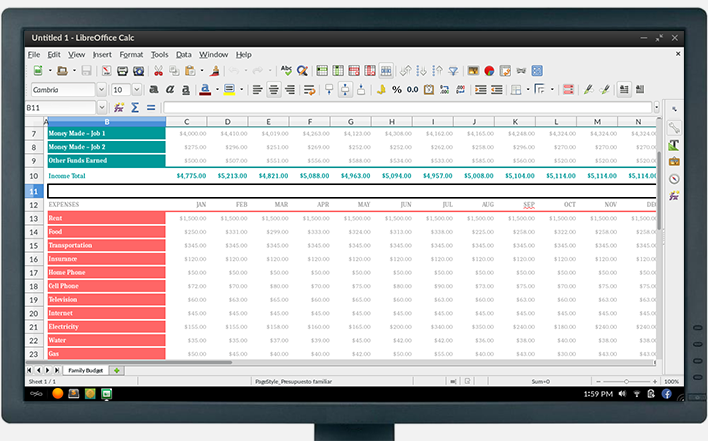 Build and edit sophisticated spreadsheets — compatible with Microsoft Excel®. Build and edit sophisticated spreadsheets with this advanced yet easy-to-use spreadsheet application. Compatible with Microsoft Excel files, LibreOffice - Spreadsheet is a great way for you track finances, automate complex calculations, and make graphs and images. An image editor to create and edit beautiful photos. 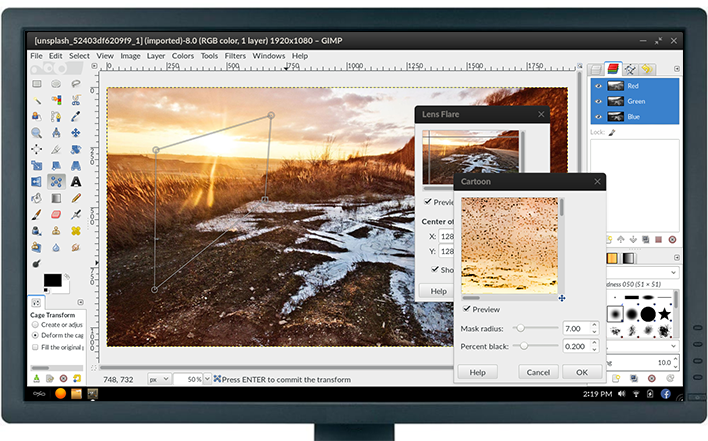 Make your photos even more beautiful with this advanced image editor. New or young users can use GIMP as a fun drawing program. For advanced users, it’s a great tool to touch up photos, apply filters, and create your own works of art. Listen to all your favorite music. 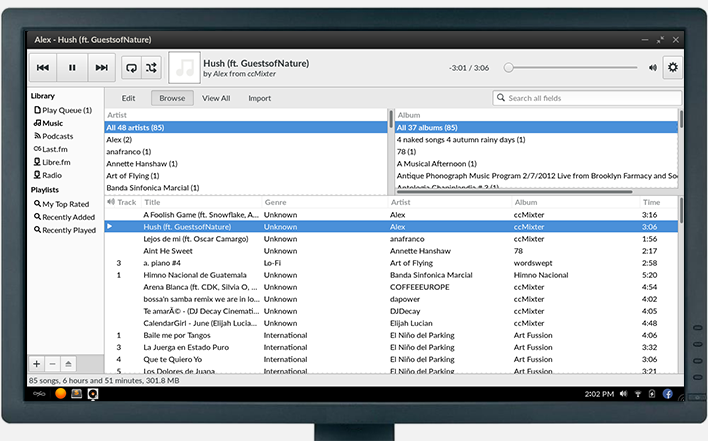 Enjoy all your favorite songs, stored and sorted in one convenient app. Music lets you play and burn CDs, create playlists, and listen to your personal music library, complete with artwork, lyrics, and visualizations. The app also supports internet radio streaming for discovering new music. 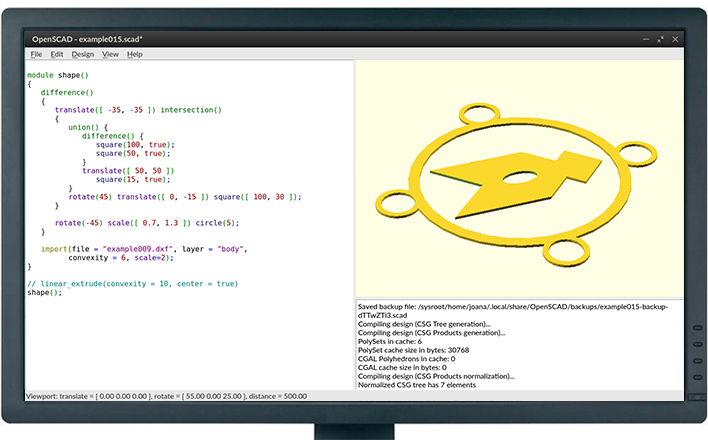 This app is made for programmers who want to create 3D CAD models. The app does not focus on the artistic aspects of 3D modeling, but rather on the CAD elements, so it is best suited for people who want to create machine parts, for example, instead of something like 3D models for movies. As the programmer, you will have full control over the modeling process so that you can easily change any step and create the configurable designs you desire. You'll need to have a deep understanding of how to create CAD models, and if you do, this app is a great way to build the 3D models you need. Create your dream world — inspired by Minecraft. What kind of world would you build? 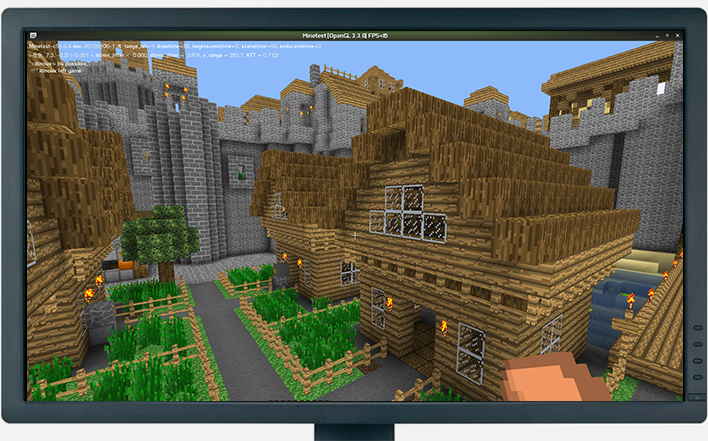 Inspired by the wildly popular game Minecraft, Minetest lets you create your dream world, complete with castles, skyscrapers, and mansions. Explore fantastic vistas, embark on adventures, and remember to protect yourself against hostile creatures. 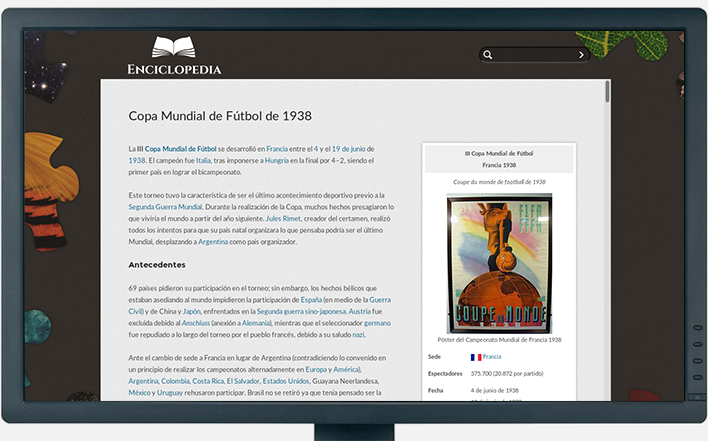 A free encyclopedia with over 50,000 articles. Everyone should have access to the world’s biggest encyclopedia, Wikipedia. With over 50,000 articles on important events, notable people, and more, the Encyclopedia app is an invaluable resource for students, teachers, and anyone who wants to learn about the world.